Facebook plans to make it possible for WhatsApp, Messenger and Instagram users to send messages to one another without switching apps. The company wants to make it possible to send messages among the services while keeping the brands separate. The three standalone apps will remain separate, but they'll be brought together under a single messaging platform or protocol. The changes would allow you to send messages from one of the company's chat systems to another -- so you could speak to your Messenger-only friends without leaving WhatsApp. Facebook said it's still figuring out the details, but the apps would include end-to-end encryption, ensuring that only the participants of a conversation can view the messages being sent. The tech firm, which has faced a series of scandals over data misuse and privacy, plans to finish this work by the end of this year or early 2020, according to The New York Times, citing four people working on the project. "We want to build the best messaging experiences we can; and people want messaging to be fast, simple, reliable and private," a Facebook spokesperson said in a statement. "We're working on making more of our messaging products end-to-end encrypted and considering ways to make it easier to reach friends and family across networks." The strategy also highlights how Facebook CEO Mark Zuckerberg is exerting more control over the companies Facebook acquired for billions of dollars. Facebook purchased WhatsApp for $19 billion in 2014 and Instagram for $1 billion in 2012. Some of these founders reportedly have butted heads with Zuckerberg and left the company. That list of departures includes Instagram co-founders Kevin Systrom and Mike Krieger, WhatApp's Brian Acton and Jan Koum and Oculus co-founders Palmer Luckey and Brendan Iribe. 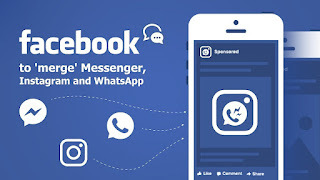 Integrating the apps could help Facebook make more money from ads by getting its users to spend more time texting in its chat apps rather than turning to other texting services by Apple and Google, according to people who spoke to the Times. But the changes might not sit well with some Facebook users, who have become more wary about the data the company shares with other tech firms following a number of scandals. Last year, revelations surfaced that UK political consultancy Cambridge Analytica harvested the data of up to 87 million Facebook users without their permission. It's unclear what user information will be shared among Facebook Messenger, Instagram and WhatsApp. Matthew Green, a cryptographer at John Hopkins University, raised concerns on Twitter about the data that could be shared between the apps and whether WhatsApp's encryption would become less secure. WhatsApp only requires a phone number to sign up for the app while Facebook asks users to verify their identities, the Times pointed out in its report. Integrating Facebook Messenger with WhatsApp and Instagram might also make it harder for government regulators to break up the company, some analysts said. "It ties up the company more rigidly," said Brian Wieser, an analyst at Pivotal Research Group. "They're doubling down on the fact that they're one company. The stakes are higher." This week, advocacy groups such as the Electronic Privacy Information Center and Color of Change sent a letter to the Federal Trade Commission asking regulators to "unwind the acquisition of WhatsApp and Instagram." The FTC is currently investigating Facebook for allegedly violating an agreement it had with the US government to keep its users' data private.